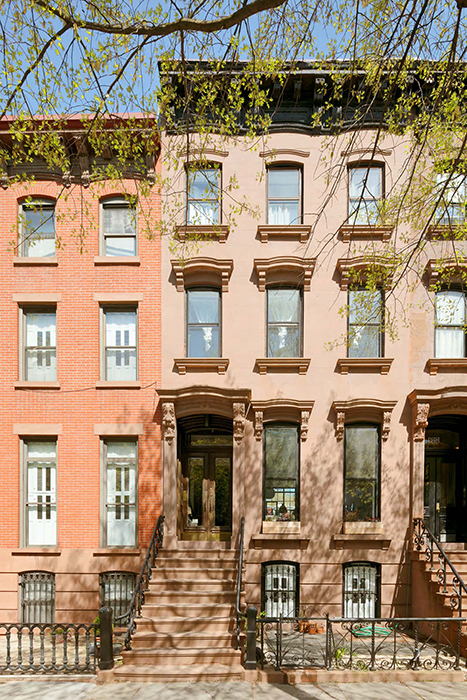 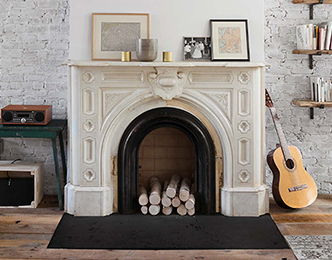 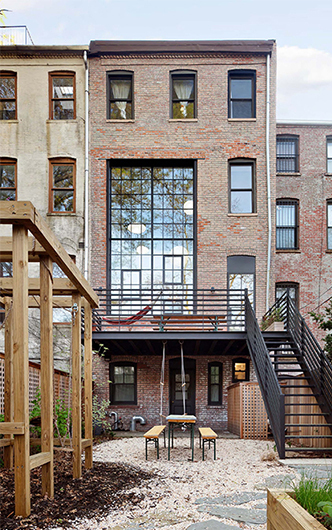 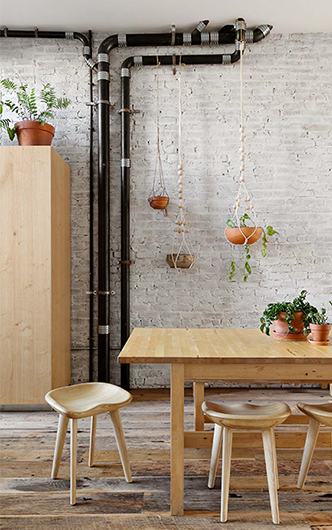 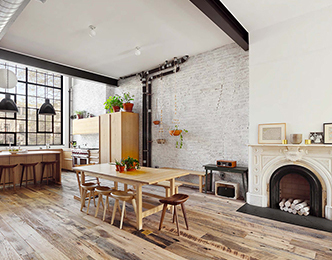 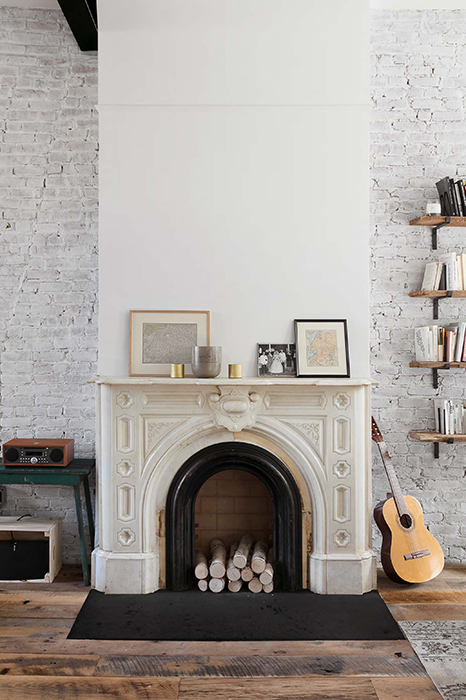 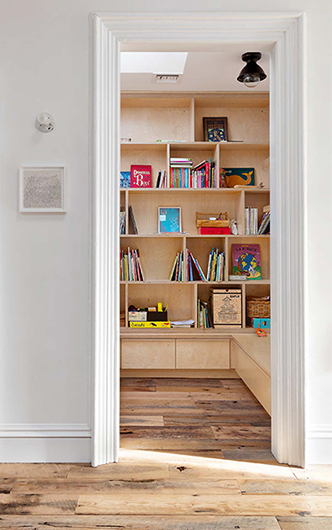 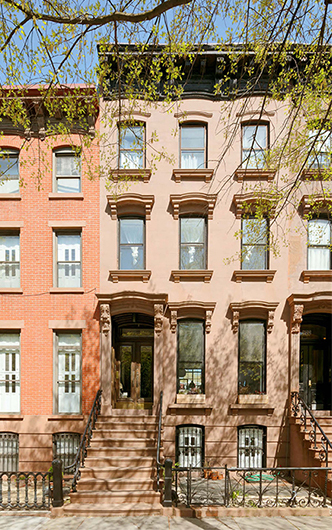 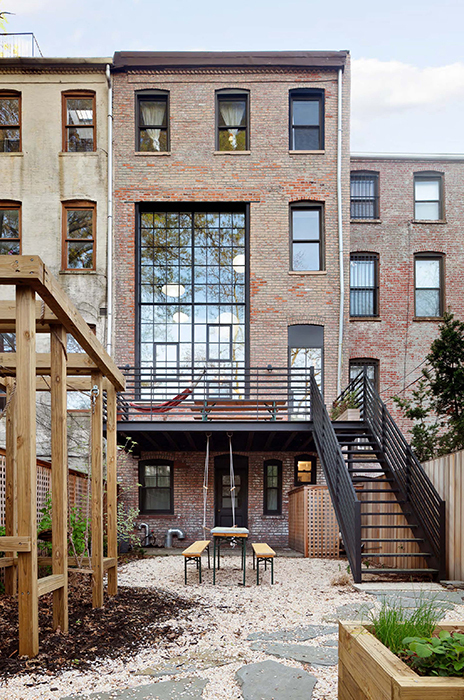 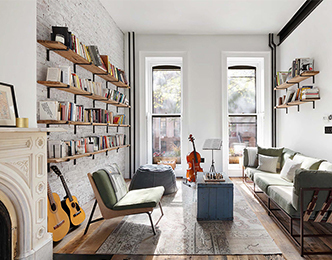 In Brooklyn’s prime Clinton Hill neighborhood, Murdock Solon Architects completely transformed this Landmarked townhouse while maintaining many of its original elements through creative interventions. 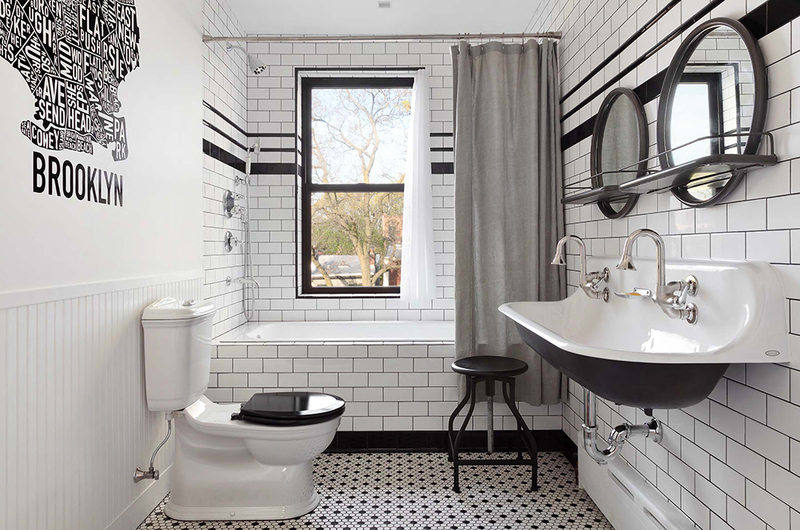 The project consisted of the gut renovation of a 3,000-square-foot, multi-unit structure into a single family home with four bedrooms, a home office, two full baths, two half baths, as well as a second garden apartment and 1,500-square-foot backyard. 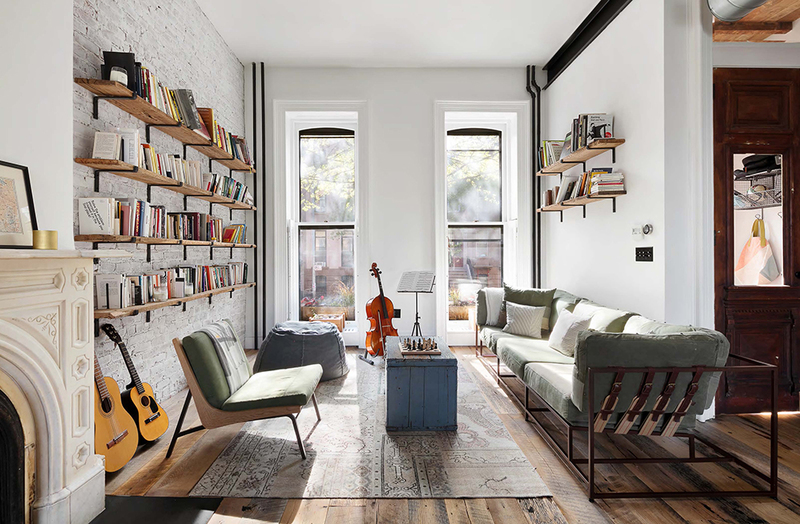 The owner requested a light airy aesthetic with an open main floor. 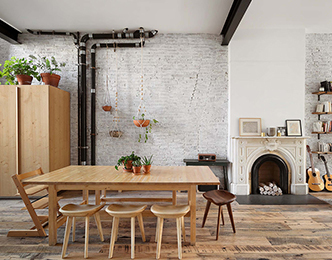 The primary feature of the home became the parlor floor with an open kitchen and living/dining area. 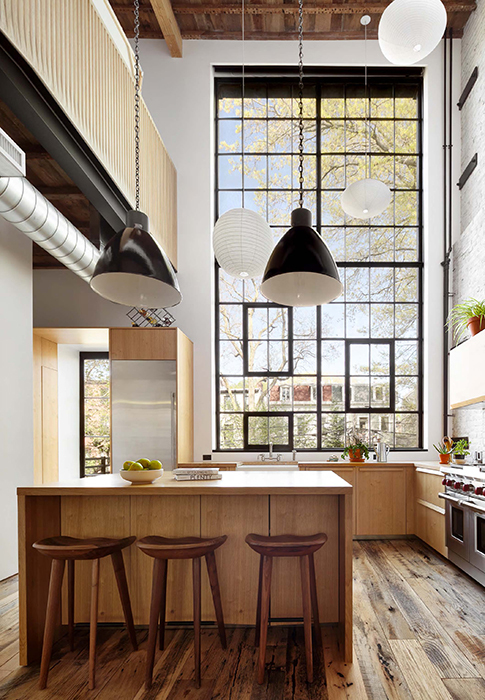 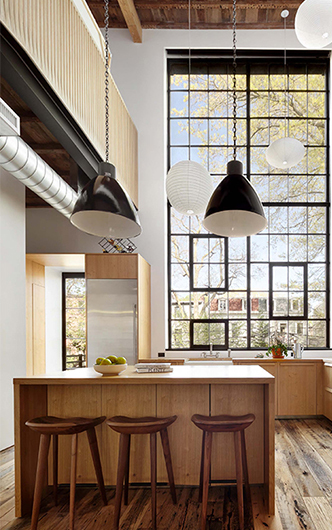 The ceiling heights in this space span from 11 to 22.5 feet and are emphasized by double-height steel-framed windows in the kitchen. 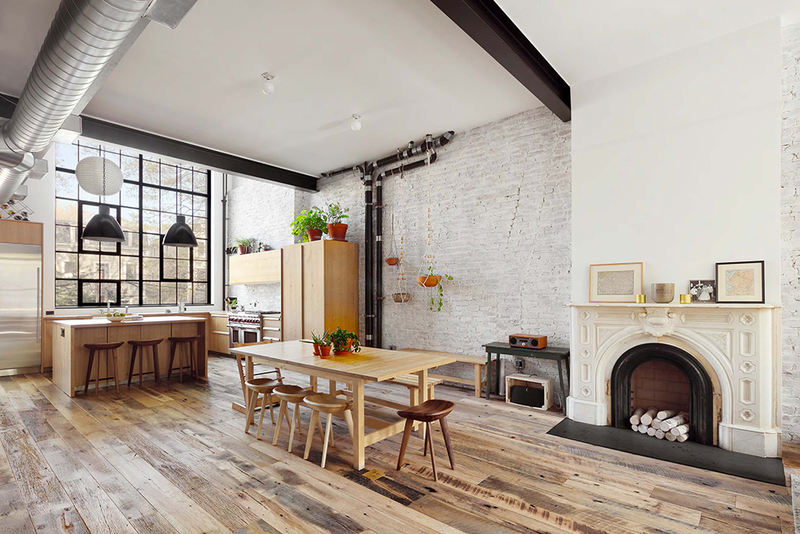 A loft-style office was built above the kitchen area to allow the owner to work while still feeling part of the family activities below. 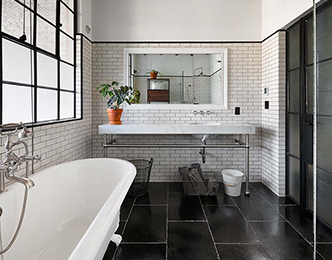 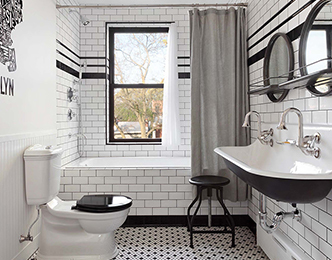 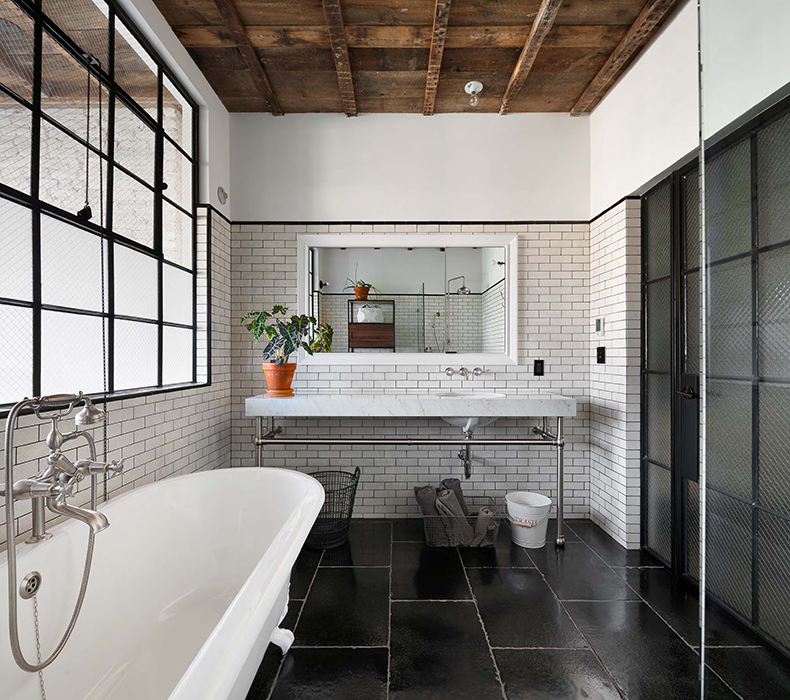 The second floor master suite features a black and white, subway-tiled bathroom with both a bathtub and a glass shower, radiant heated floors, and second half bath. 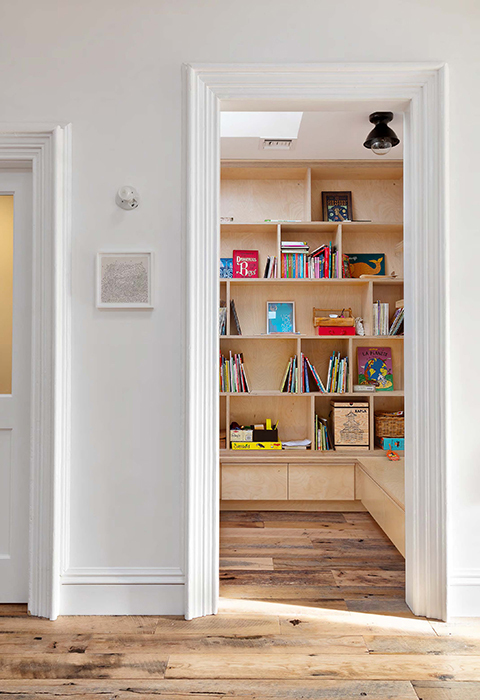 The third floor has three bedrooms with a common area, along with a library and laundry area. 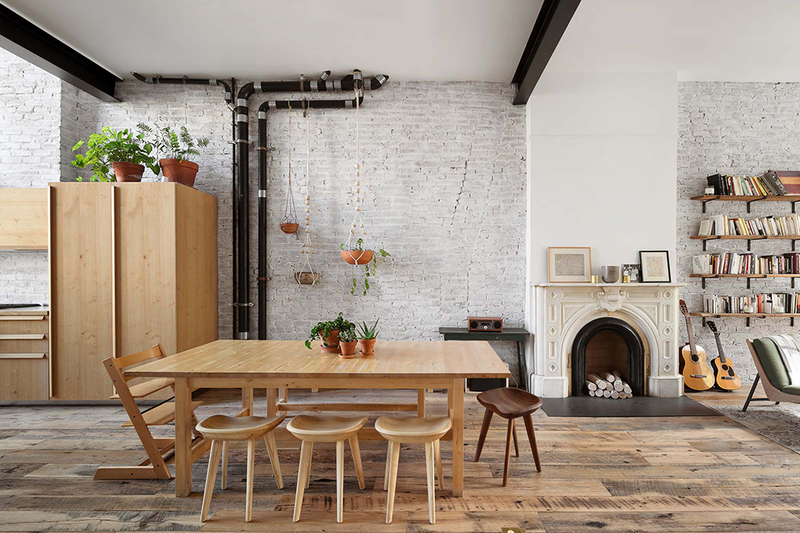 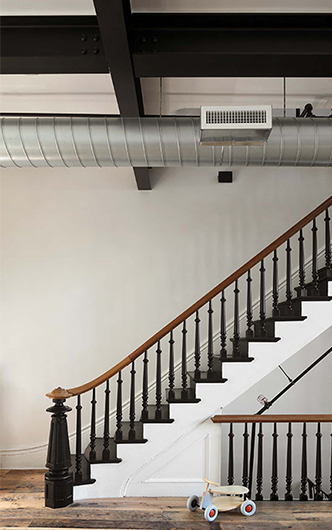 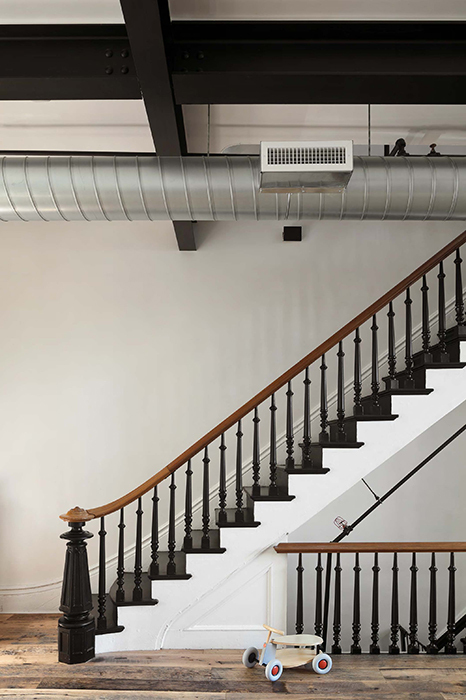 The space maintains a distinct industrial aesthetic while still creating the feeling of a family home by showcasing natural materials and echoing the vernacular details of the original neighborhood Plumbing pipes and floor joists were intentionally left exposed. 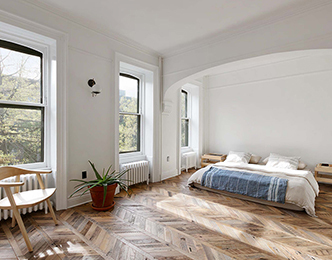 The original wood used in the house was reclaimed and refinished. 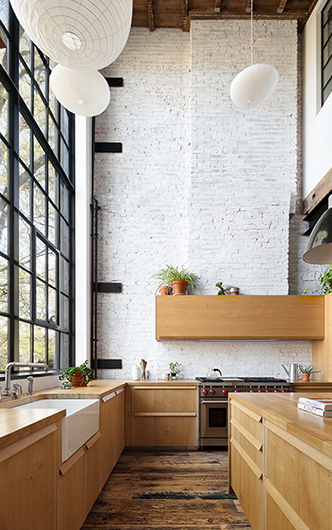 High-end finishes include Italian Effeti kitchen cabinetry, and Waterworks fixtures throughout, and a Tensui water filter was installed for the entire home.